The Bucovina Travel Guide is sold out. We are considering the preparation of a second edition. In case you are interested in the book, please send us an email to metaneira@metaneira.com and we will keep you posted. Price 29.99 € + shipping and handling, including a 40-min DVD about Bucovina. 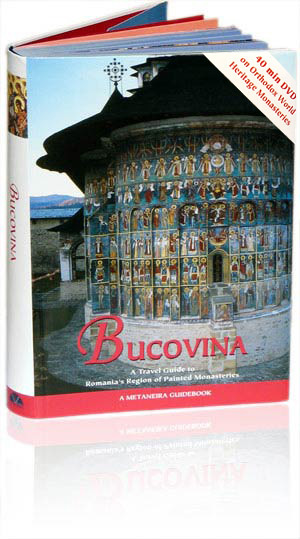 Read more about Bucovina book!